Last month, sales of NEVs in China rose by 30%. Chinese NEV sales added up to around 92,000 units for the month of May, illustrating a 140% increase year on year while also showing a 30% month on month rise, according to the Chinese Passenger Car Association (CPCA). Sales of pure electric vehicles have seen a 130% increase year on year, totalling nearly 73,000 units. Plug-in hybrids saw a more dramatic increase, pulling a 199% year on year rise in the form of 19,161 units sold. The most popular choice amongst consumers seems to be the A00 battery electric vehicle. A small vehicle with a rather short driving range, this model is a perfect choice for urban, city transportation. The A00 model constituted 57% of the overall sales of pure electric vehicles, coming out to 44,926 units sold. During the first five months of 2018, 280,635 units of NEVs were sold across China. Pure electric vehicles made up 207,416 units of that total. Plug-in hybrids accounted for the remaining 73,219 units. This massive increase of electric transportation reflects China’s active battle against environmental pollution. Several cities such as Suzhou and Guangzhou have largely implemented electric transportation into their networks via the mass installation of charging points and, in other cases, the adoption of an entirely electric fleet of public transportation buses. China’s fight can be seen in other areas as well, including the recent wave of environmental inspections around Shandong province. Largely due to the meeting of the Shanghai Cooperation Organisation in nearby Qingdao, many steel and iron producing factories were forced to halt production in order to improve the overall air quality. This reduction caused stocks of iron and steel to decrease, further buoying the market price of these metals as China’s construction boom chugs along. While on the topic of metals, copper prices have skyrocketed recently, all tying back to the colossal rise in NEV sales both in China and across the globe. Copper, an excellent electric conductor, is a crucial component in the construction and assembly of NEV batteries. Along with cobalt, copper has become a hot commodity amongst world markets. 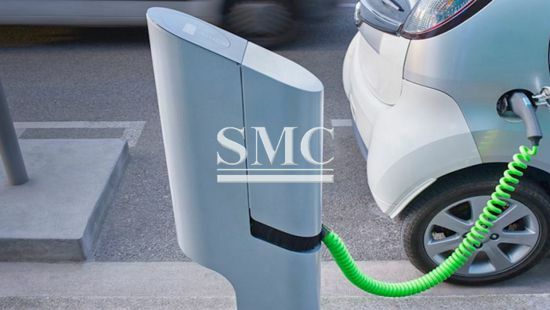 As the worldwide demand for NEVs continues to expand, metals such as copper, nickel, and cobalt will continue to serve as influential factors in society’s push to the future. We’d like to be a part of that future here at Shanghai Metal Corporation. Our copper products, such as enameled wiring, tubing, and rods, aim to supply the world’s growing demand for copper. We offer the most competitive pricing paired with quality of the utmost degree. Here at SMC, customer satisfaction is our top priority. For additional information, including a complete list of products and pricing, please click here.